Vita Perfetta Life Token Bracelets are the newest thing in party accessories! Make a unique statement with these funky, customizable pieces. First, choose from our brass and nickel tokens. Then, watch as our artist engraves your personal message. Whether it’s a word or short phrase, the message will truly express you! Even better, grab all your friends and get matching bracelets! When you’re finished, we’ll add your custom token to a cord or keychain for the perfect look. This hot party favor is great for guys and girls. 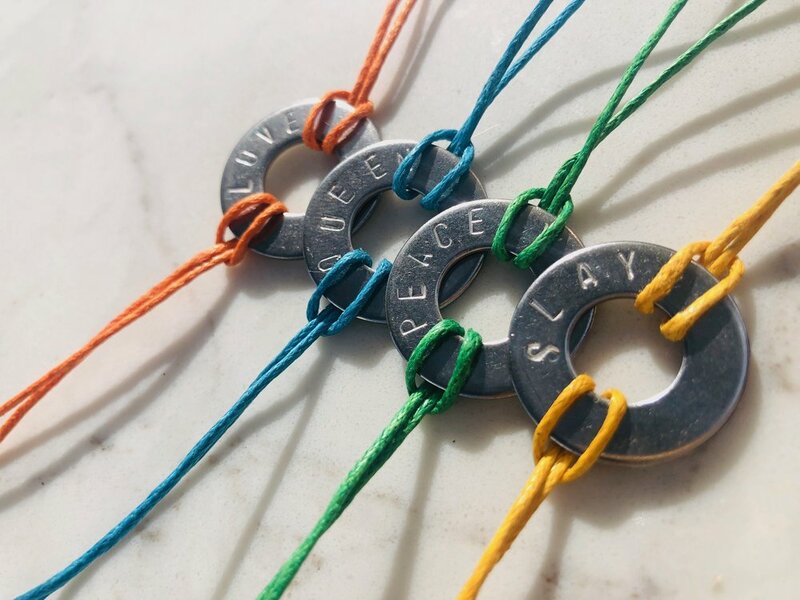 Vita Perfetta Life Token Bracelets are just your style!